The Western States Endurance Run Board of Trustees recently announced modifications to their qualification process for 2015, and it may be good or bad news depending on how you look at it. In the announcement they also “outed” the schedule for the Montrail UltraCup for 2014, so you can find it below. 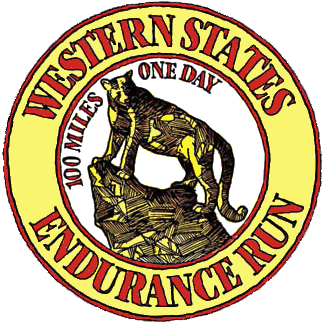 The Western States Endurance Run is capped at 396 entrants, and 130 entries are reserved for race administration (aid stations, trail crew, sweeps, etc. ), Montrail UltraCup winners, raffle winners, overseas runners, and members of the Board of Trustees. The remaining 270 slots are drawn in early December each year, and past "losers" get one additional lottery ticket for each time they lost. Removing the 50-mile qualifying distance will certainly cut down on these numbers, as will the fact they have chosen a very small set of 100k and 100m races that have eliminated a lot of local favorites. Be sure to check the list of 2015 qualifiers (many of which require lotteries on their own) if 2015 qualification is on your radar. Montrail has been slow to announce the 2013/14 Montrail UltraCup Series this year, which has cut the schedule of qualifying races significantly. But the qualifying slots now go three deep, rolling down to 4th place if one of the top 3 already have a slot. They have renewed their contract with Western States for two years, so perhaps next year will have a broader qualifier schedule. So there you have it, folks. What do you think – better odds or worse? Given the growing interest (curse you, Karnazes, McDougall, and Jurek! ), the change was inevitable. I think I hold the longest losing streak to the Western States lottery (3-time loser got me in to the 2008 race, which was cancelled, and I've lost ever since...that's NINE years), but do correct me if you've heard of someone worse. As an east coaster I'm bummed there are no races on the Right coast for qualifying Montrail races. I believe they have used JFK 50 past 2-3 years. Plenty of great races out here!! You would know, you just did one in PA! Montrail wanted all MUC races to be post WS lottery. Not a whole lot of choices back east. The race can't have a shoe sponsor, have a retail connection that sells Montrail shoes, is able to attract quality fields, and fits in the short window with enough time to retool for WS in June. I think this is a good move, and hopefully will produce a higher finish rate. I always thought there was something wrong with a 50-mile qualifier at 11 hours being a predictor of completing Western States. I agree that 50 miles in 11 hours isn't that tough of a requirement but I think they should also route it around the Chief Granite wilderness. I also don't know of any other race that has 30% of the field set aside for "special" entries. This should be cut down to 10%. Having 130 special spots set aside contributes to the attitude that WS is more of an elitist club run and less of an open race. Anonymous, the parking and shuttle infrastructure couldn't handle more crews if we were to add significantly more runners. We'd have to disallow crews which would drastically change the experience for runners and crews. As for the 130 automatic spots, that's a tough one. You got ideas on which of the 130 automatics you would cut if you were the King? Craig, I admit that crews weren't on my mind when I suggested allowing more runners. Currently a runner is allowed two crews correct? How about only allowing one crew per runner? Other 100s only allow one crew. As for the 130 spots....I don't know what all 130 represent but cutting it down seems reasonable. Maybe the top 5 instead of top 10. Cut out the raffle. Cut out the foreign residency and put them in the regular lotto. Cut down the number of runners from the MUC especially since 3 of those races are 50 miles and that distance isn't on the general lotto anymore. Perhaps giving volunteers (AS workers, etc) extra tickets in the lotto rather than a reserved spot..... But another question is, is the 130 spots reasonable compared to other races? I'm not a RD so I don't know. Maybe this is normal. Does a race like Massanutten (for example) have 65 entries set aside? I would be surprised but maybe that is why so many races sell out so fast. I just read an article about the music industry doing this with concerts. You do have some terrible luck. Do you think they'll ever up the number of entries? 11 hours to do a fifty was too much time in my opinion. I think the courses chosen for the 2014 race would have been fine with reducing the finishing time to like 9 hours and getting rid of some of the easier 50 milers. I think if it is going to be just 100k and 100 milers there need to be more races to choose from. Since Miwok is a lottery and TRT 100 is now going to be a lottery, you have to win a lottery just to get into THE lottery. Pretty crappy deal in the Northern Cali area unless you are willing to travel a long way to do a race. There are so many other 100k and 100 milers that could have been added to the list. Hopefully more 100 milers will be added in the future. Luke, we objectively chose the 30 largest trail 100 milers domestically. The 100Ks needed to be of substantial difficulty and then we chose the largest. That's objective and defensible. Picking and choosing races for vague or indefensible reasons was not a path the board wanted to go down. If you read the post I wrote and referenced in Scott's article you'll see why we didn't make the 50 mile times harder. You are welcome to send me an e-mail at scottdunlap (at) yahoo.com, thanks! Eliminating the 50 milers makes sense. But keeping easier 100 milers (Rocky Raccoon) and eliminating local comparable ones (Rio Del Lago) because the easier one is a larger race, hardly ups the standards. The board has eliminated all local races. I'm not sure where they think all the volunteers who do trail work and everything you can think of on race weekend come from. It's not Southern California or out of state! Local runners without the financial means to travel with pacers and crew are essentially eliminated. The closest two (Miwok 100K and TRT) are already lottery and will be almost impossible to get into now too. WSER was born the love of the local running community and the legends of WSER are all locals too. It's never a good idea to forget your roots.